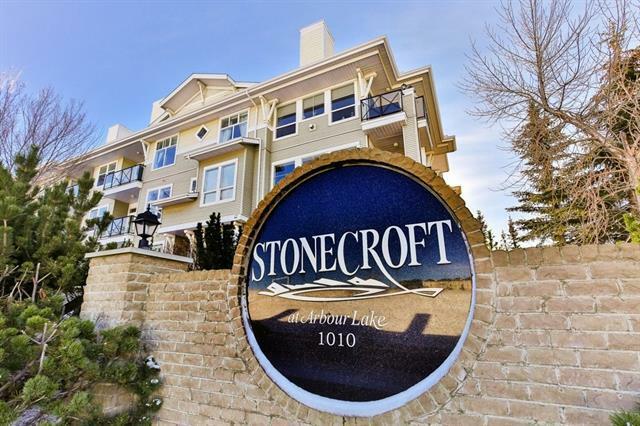 Welcome to this Gorgeously Updated Suite at Stonecroft in Arbour Lake! 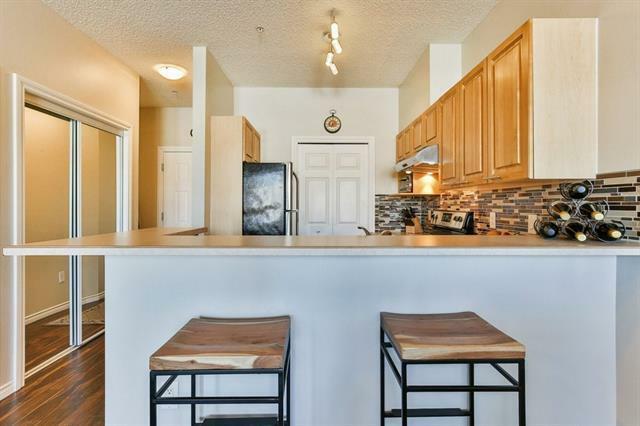 With TWO titled parking stalls, this one bedroom unit offers natural light in a parklike setting. With 9 ceilings the open floor plan allow you to live and host in harmony! 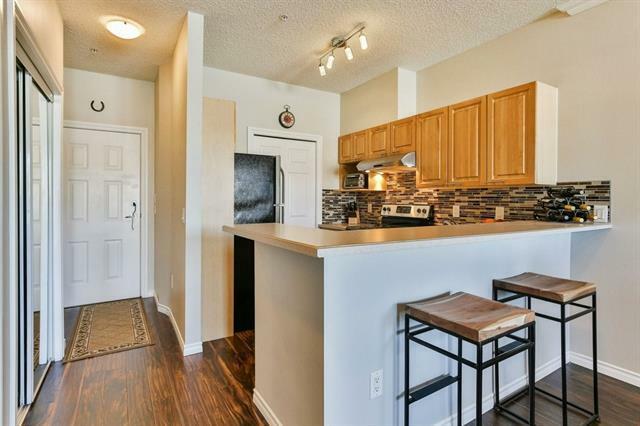 Hand scraped laminate flooring, stainless appliances, in-floor heating, cozy gas fireplace, in-suite laundry, assigned storage and large covered balcony complete with gas line for your BBQ are yours to enjoy. This quiet, well managed building boasts a central courtyard and entertainment room with full kitchen that can be rented for special gatherings plus a guest suite for all your visitors! Arbour Lake allows you to enjoy year round privileges of swimming, fishing, boating and clubhouse activities. 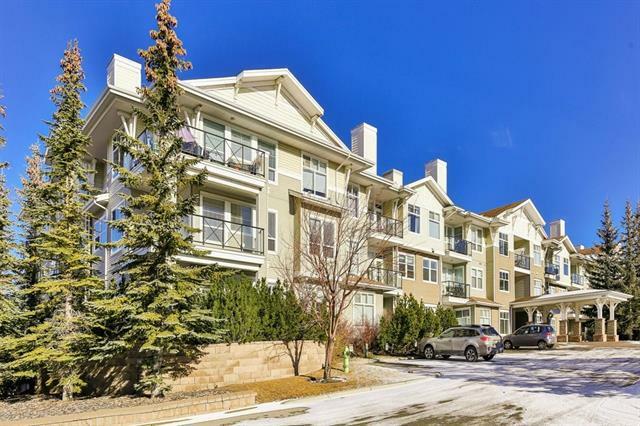 With close proximity to Crowfoot Crossing and all its amenities, restaurants, shopping, library, YMCA. Public transit is at your doorstep and the Crowfoot LRT is a short walk away. Enjoy the parks and walking paths of Arbour Lake - Welcome Home!